The Australian Transport Safety Bureau’s (ATSB) final report into the loss of control and collision with terrain involving a Beechcraft B200 King Air, highlights the importance of following a cockpit checklist. During take-off from Melbourne-Essendon Airport, Australia on the morning of 21 February 2017, the aircraft diverged to the left of the runway centreline. Having reached a maximum altitude of 160 feet (49 metres) above ground level, the aircraft began to descend with an increasing left sideslip. 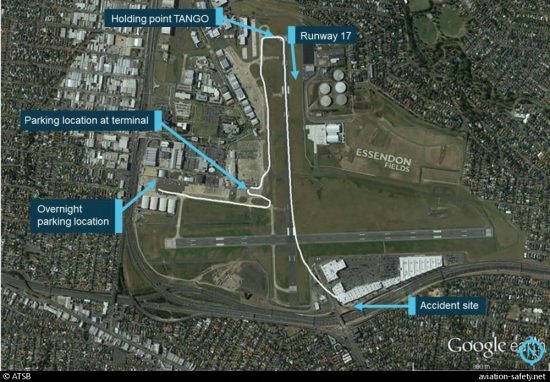 The aircraft subsequently collided with the roof of a building in the Bulla Road Precinct Retail Outlet Centre of Essendon Airport. The aircraft was destroyed by the impact. The pilot and four passengers were fatally injured. Two people on the ground received minor injuries. The ATSB’s investigation found that the pilot did not detect that the aircraft’s rudder trim was in the full nose-left position prior to take-off. The position of the rudder trim, which assists a pilot with controlling an aircraft’s movement around the vertical axis, resulted in a loss of directional control and had a significant impact on the aircraft’s climb performance. In addition to the importance of using a checklist, this accident also emphasises the challenges associated with decision-making during critical stages of a flight.